A word of warning to you all, this festive season: henceforth, I am going to be insufferable. Because I’m only after getting a coveted guest post slot, over on US comic mystery author and SuperBlogger Anne R. Allen’s site today. This is about as good as it gets in blogging. I’m not even going to bother employing the modishly ubiquitous curse of the Internet, the humblebrag, about it. 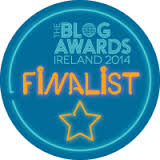 From the moment I was asked to do the guest post, I was fecking delighted, so I was. Oh, I’m going, Speculation. I’m going. Sideways. I am going to check it out on Anne R Allen’s blog Tara, and major congratulations! I have been following Anne for a long time now and you are especially honored; and you deserve it. Thanks Ann! She’s a legend, isn’t she? Hope you enjoy it. I’m on my holidays now, only the day job to get through this week! I hope you do, Ann! Thank you very much and I hope you and yours have a super Christmas. Merry Christmas, Tara. Do you know I get fed up of tweeting and saying things like ‘love this,’ ‘this is brilliant’ and other such things that make me sound as if I haven’t got an intelligent word in my body, but I do. Brilliant! Have a great one and don’t forget to untie the family afterwards! But I never get fed up of that – and we have to feed the beast! Please continue! My family thank you also for your concern. Not that it makes a blind bit of difference to me. I’m horrible. No actually, congrats on your Anne R. Allen blog guest post. I’ll check it out. I think Anne lives near me; maybe one day I’ll actually meet her! Oh I love that description! Well done on the guest post slot. Have a great Christmas and a guid new year. You too Dorothy! I hope you have a super festive season and a happy Hogmanay too. “Henceforth” you’ll be insufferable? You mean it gets worse? Actually, no, it gets better. Who can argue with someone who can come up with a name like Snuzzle Figglesticks? Great post – as ever. Have a terrific Christmas and New Year! Oh, it gets worse, Graeme, so much worse. There will be tears, threats, and a very weird thing with a dictionary. Have a great Christmas yourself – and looking forward to more banter in 2016! Ah, it’s not so bad. A straightforward lexiconectomy usually does the trick. I would have commented earlier but a slow internet connection meant it was taking forever to download the emoticon that doffs its cap. Than it just disappeared so I can’t doff my emoticon cap to you. 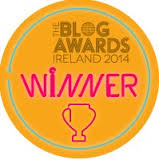 Blog Awards, guest posts. I should be on my knees, but I know I won’t be able to stand up again! Well done and all that, oh and er. . . Merry Christmas. 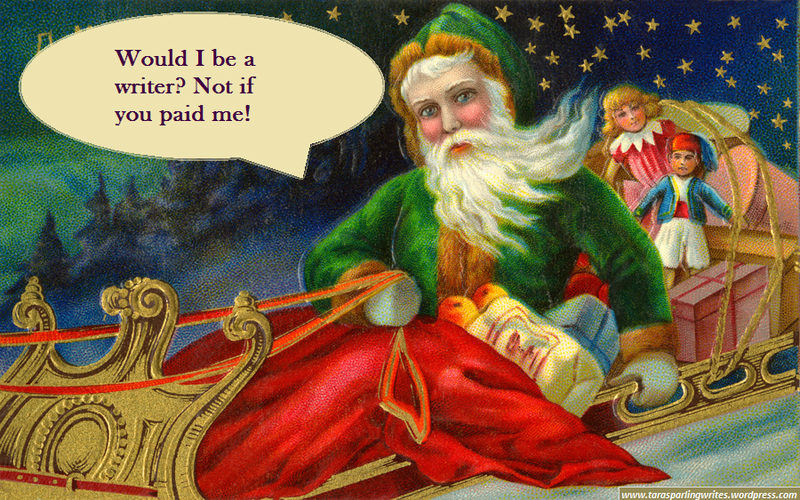 So Santa didn’t sort out your tech woes for Christmas, eh? I’ll have a word, Chris. But only because you’ve flattered me half way into next year. Keep this up, and I won’t know what to do. The internet came back, Lazarus-like at one minute past midnight last night. I’ve got four episodes of The Bridge to catch up on and a lot of ironic bon homie to hurl about. Oh I love ironic hurling! Which has about three different meanings in this country. Which is my very favourite type of meaning. Merry Chris-mas! What??? I have a sweet side? Good grief, keep your voice down, or they’ll all hear! Excuse me while I go and frighten somebody in order to compensate. Just kidding 😉 Thanks so much Diana! Ha! I figured that would fire you up. Happy New Year.